The wearables market retains its steady growth, rising 17 percent in the fourth quarter of 2016 compared to the same period in the previous year. According to International Data Corporation's recent Worldwide Quarterly Wearable Device Tracker report, shipments reached just under 34 million units during those three months, about a third of the 102.4 million devices shipped in all of 2016. The technology research firm, which currently divides the market into "basic" and "smart" wearables, said that basic devices emphasizing fitness and health are continuing to generate the most pick-up among consumers. What hasn't gained nearly as much traction are smart wearables, which can run third-party apps. "Like any technology market, the wearables market is changing," said Ramon Llamas, research manager for IDC's Wearables team, in a prepared statement. 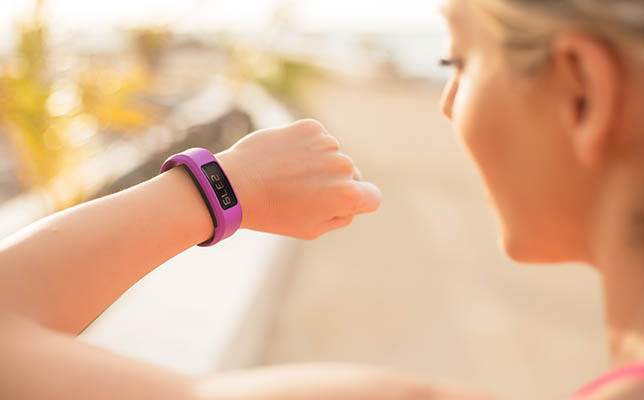 "Basic wearables started out as single-purpose devices tracking footsteps and are morphing into multi-purpose wearable devices, fusing together multiple health and fitness capabilities and smartphone notifications. It's enough to blur the lines against most smart wearables, to the point where first generation smartwatches are no better than most fitness trackers. One evolution on the smart device side is built-in connectivity to a cellular network, as represented by Samsung. When that happens, Llamas noted, we can "expect unique applications and communications capabilities to become available. This will also solve another key issue: freeing the device from the smartphone, creating a standalone experience." IDC foresees growth continuing as "multiple new vendors" enter the business from myriad industries — not necessarily based on consumer demand, but from "vendor push," said Jitesh Ubrani, a senior research analyst for IDC Mobile Device Trackers. For example, the Fossil fashion brand has entered the business, along with BBK, which focuses on child-monitoring devices, and Li-Ning, which sells "step-counting shoes." Ubrani suggested that "as the technology disappears into the background," sales of hybrid watches and "other fashion accessories with fitness tracking" will begin to gain momentum. "This presents an opportunity to sell multiple wearables to a single consumer under the guise of 'fashion,'" he noted. Pickup is also being seen among ear-worn devices, called "hearables," and clothing with sensors built in; both of those categories now represent more than one percent for the entire year. "Though these numbers were miniscule, they show promise as numerous devices are expected from notable vendors in 2017," the company said. IDC reported that Fitbit continues to dominate in the wearables market, maintaining its number one ranking for the quarter and the year. However, it may be "approaching saturation" in its continued focus on the U.S. market and faces continued pressure from low-cost competitors. For its part, Apple has just experienced its "best quarter ever," according to IDC. Thanks to a "lower entry price point" and the addition of GPS on Apple's Series 2 watch, as well as a "completely revamped" user interface, the company has been able to expand its consumer market and make headway in the commercial segment. Garmin saw a slight softening of its market share in the fourth quarter; but that was mitigated by a step up in its average selling price, which rose from $200 in 2015 to $258 in 2016. IDC predicted that Garmin's new Fenix 5 wearable, introduced during CES 2017, will appeal to a broader audience because of a smaller size. Samsung is the only name-brand company producing cellular-enabled wearables. LTE connectivity has enabled the company to sell its products through a channel others can't: mobile providers. Xiaomi, which holds second place in IDC's top five device vendors, is a Chinese maker primarily selling into the China market.